An amortized loan includes regular periodic payments of both principal and interest, that are paid within the term of the loan. 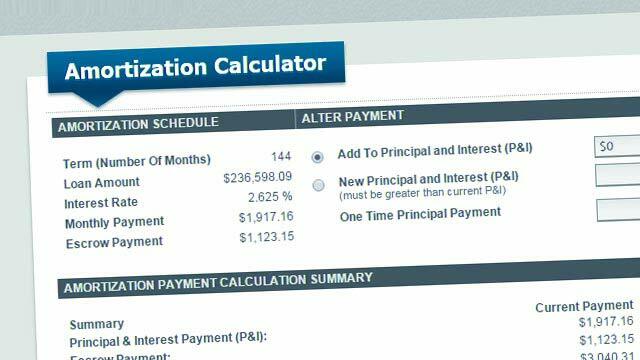 Amortization schedules detail the monthly payments and how much of each payment goes to principal and interest. Amortization is the process of repaying a mortgage loan in full, through structured, regular payments within a certain time frame. The amortization of your home loan will vary depending on the terms of your mortgage. Your monthly mortgage payments are used to pay the principal and interest on your home loan, and as you make these payments, the distribution of funds varies between both components. The amortization schedule of your mortgage gives you a thorough breakdown of your monthly mortgage payments, and how much of it is being dedicated to principal and interest. At the start of the mortgage, most lenders allocate a large portion for paying the interest on the loan. Over time, this balances reverses, and majority of the payment amount goes towards paying the principal. By knowing how much of your money is going towards which component of the mortgage, you can make better decisions about making prepayments and refinances. Seeing the amount of money you’ll be paying on interest, you can go to go with a loan with a shorter amortization period. For these reasons the amortization schedule on your mortgage is an important document to read and understand.